The Minister of Tourism the Hon. Obie Wilchcombe said he is pleased that local musicians have stated their support of the Bahamas Junkanoo Carnival, slated for May 7-9, 2015. 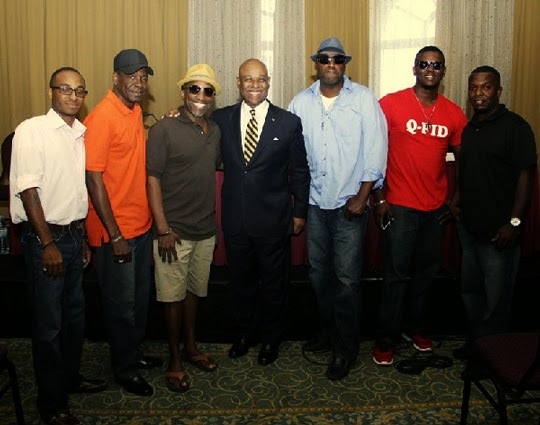 He was present during a press conference called by a group of musicians on Sunday, at the British Colonial Hilton. The musicians have now come out in support of the Bahamas Junkanoo Carnival, since the Government has stated a Bahamian concept to the inaugural street festival.